As Republicans continue efforts to repeal and replace the federal Affordable Care Act, Louisiana advocates say that without additional details they worry about the impact an overhaul could have on potentially thousands of families in the state. U.S. Senate leaders are expected to unveil the latest proposal for overhauling the federal health care law, commonly called “Obamacare,” later this week. Majority Leader Mitch McConnell, R-Kentucky, has said he is pushing for a vote next week before lawmakers recess for the July 4 holiday. Few details have emerged about how the Senate plans to alter the American Health Care Act that passed the House in a party-line vote in May. In the meantime, advocates like Andrus have grown more anxious. Louisiana Conference of Catholic Bishops director Rob Tasman stressed to the others gathered at the clinic — among them doctors, parents with disabled children, AARP representatives — that health care should be treated as a basic right. 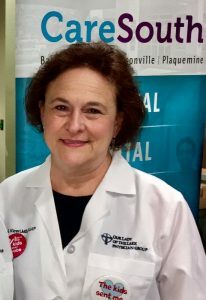 They noted that if the Senate proposal resembles the House plan, it could leave thousands in Louisiana without health care or paying higher costs, according to a new analysis from the Louisiana Budget Project. “It would be very bad for Louisiana,” LBP director Jan Moller said Tuesday. Louisiana expanded its Medicaid program last year through the Affordable Care Act and now covers more than 431,000 newly-enrolled people — mostly the working poor. LBP’s review of the House-passed AHCA shows some 540,000 Louisiana residents who are projected to sign on to Medicaid by 2020 would lose their coverage. Beyond the expansion population, the report suggests the drastic reduction in federal Medicaid funding would force Louisiana to raise taxes or decrease services for children, people with disabilities and older residents who have traditionally relied on the program. Another 110,889 Louisiana residents who receive premium tax credit subsidies to purchase private insurance would see that assistance reduced by an average of $3,013 a year. President Donald Trump’s administration has pushed for a speedy process to repeal and replace the Obamacare federal health care law. Trump backed the House version of the plan, of which every Republican representing Louisiana in the U.S. House voted in favor, but has since indicated he would be supportive of changes in the Senate. Spicer didn’t offer up specifics and couldn’t say whether anyone in the administration has seen the latest version of the Senate’s proposal, but he touched on what he said Trump hopes to see. He dismissed concerns that Democrats have raised about being closed out of the process. U.S. Sen. Bill Cassidy, a physician who has proposed his on version of a repeal and replace plan, took part in a Bloomberg BNA event on Monday that he would like to see two or three Democrats step forward to work toward a bipartisan agreement on what the legislation should include. He declined to speculate on the specifics of the Senate plan that will be released on Thursday. “There are rumors afloat, but I can’t comment on the rumors except to say I expect it to be soon,” said Cassidy, R-Baton Rouge. Cassidy’s own proposal includes an automatic enrollment provision, which he touted at the forum as a way to get buy in from a larger segment of the healthier population. It’s unclear whether Senate leaders will adopt that idea in their own version. Cassidy has spoken out against the House version. U.S. Sen. John N. Kennedy, R-Madisonville, cited the shrinking support for the ACA as proof that something needs to be done.